Snacks, we’ve got you covered (recipes below)…check! What’s left? 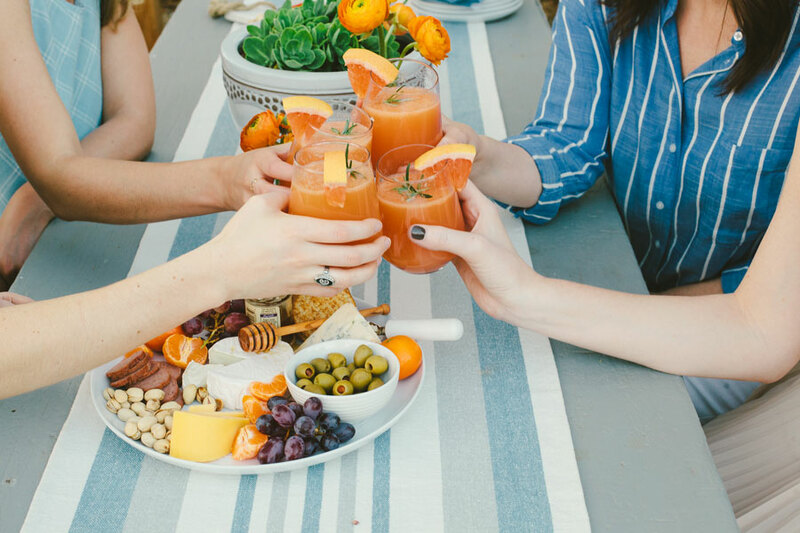 We’ll tell you: An equally endless list of excuses to invite your favorite friends over. 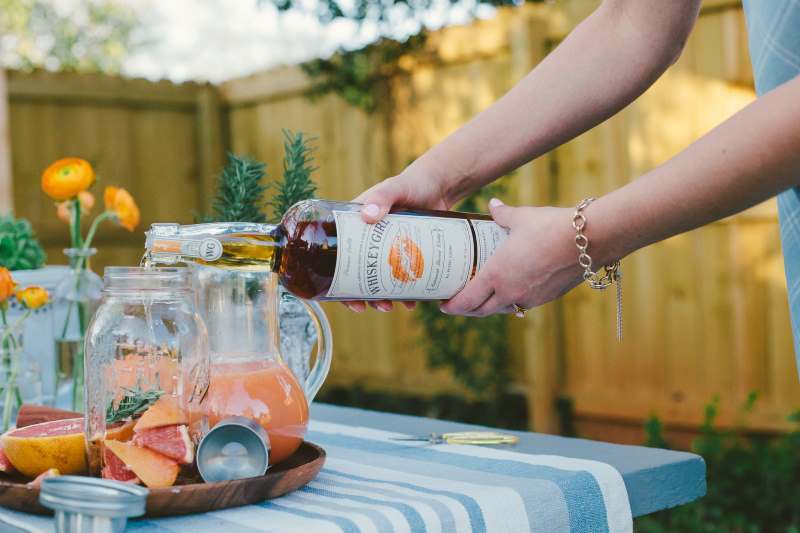 Here we come, as ever, to the rescue with your Summer 2017 Whiskey Girl Bucket List for Backyard Entertaining. Let’s do this! Baby on the way? Or ring on her finger? Let’s shower someone with love and congratulate them for reaching an important milestone in life. Yes, the games can be tiresome but there’s nothing a cocktail can’t liven up. In fact, the Zoe Report has the tips you need to throw a shower your friends won’t hate. Spoiler Alert: Chugging liquor from baby bottles is a strong option! The magic of a drive-in isn’t just the convenience of enjoying a movie from your car, it’s being able to enjoy a bit of the great outdoors. Mother Nature’s backdrop of trees and fresh air adds an extra special something to your movie-watching experience. So why not screen episodes from your favorite shows (“The Bachelor”, anyone?) or movies in the comfort of your backyard. Maybe a nod to nostalgia is in order with several episodes of “Friends” or “Parks and Recreation.” Once you’ve got your AV components in place the rest is cake…or rather, popcorn! What’s more, this is one of those parties that can easily become family-friendly. 100 Layer Cake shows us how to throw a backyard movie party for a 3-year old. Don’t be fooled, all of the details are so lovely and adaptable for a group of 3 or 30-year olds. Can’t make it to that tropical island this summer? That’s fine, because you can creatively transport your friends to the tropics with a Caribbean-themed party. Instagram FOMO will get you nowhere, but you’ll be surprised how fulfilling it can be to fill your home with pineapples and coconuts to transport your buddies who, like you, can’t seem to get away this summer. Looking for inspiration? Wish granted courtesy of Sugar and Cloth. Getting old is the worst. Or is it? Let’s be honest, parties in celebration of your birth get progressively better with age. Prove it with a killer Dirty Thirty or Over the Hill party. Aging doesn’t have to be depressing, especially when shared with friends over an evening of beverages and food. Take some pointers from 100 Layer Cake on how to plan quite the 30th birthday party. 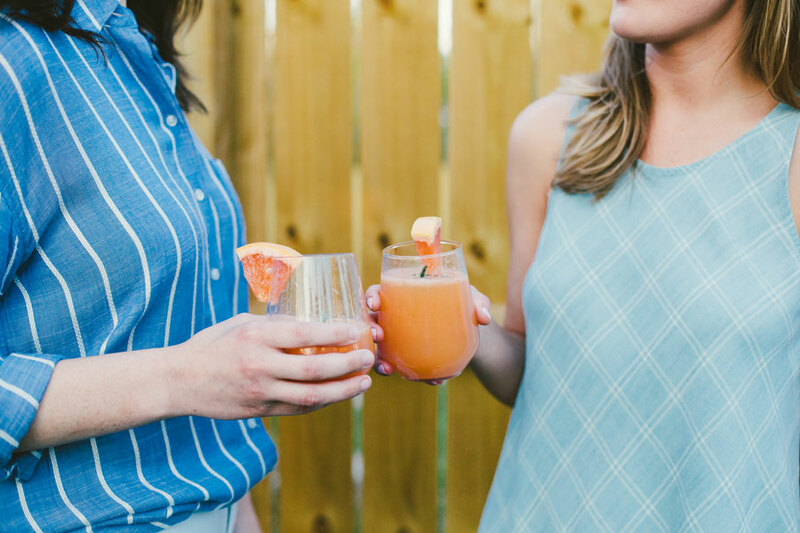 Speaking of…here’s a special summer cocktail option and two lovely recipes for keeping your friends fed (and impressed with your culinary skills). Add 2 grapefruit wedges, a sprig of rosemary, and Whiskey Girl Butterscotch to a cocktail shaker. Muddle, add grapefruit juice, and shake vigorously. Pour into glass, top with splash of your favorite sparkling water, and garnish with grapefruit and rosemary. Tip: Use a variety of textures and colors of cheese, meat, fruit, nuts, pickled veggies, and spreads for a charcuterie board that’s both impressive looking and delicious with very little effort. I used the items below, but often substitute in prosciutto, apple slices, baby pickles, pecans, fancy mustards, etc. – whatever you have stashed away. Get creative! Spread out baguette slices in a single layer on a baking sheet. Lightly toast in over (375 degrees for just a free mins). 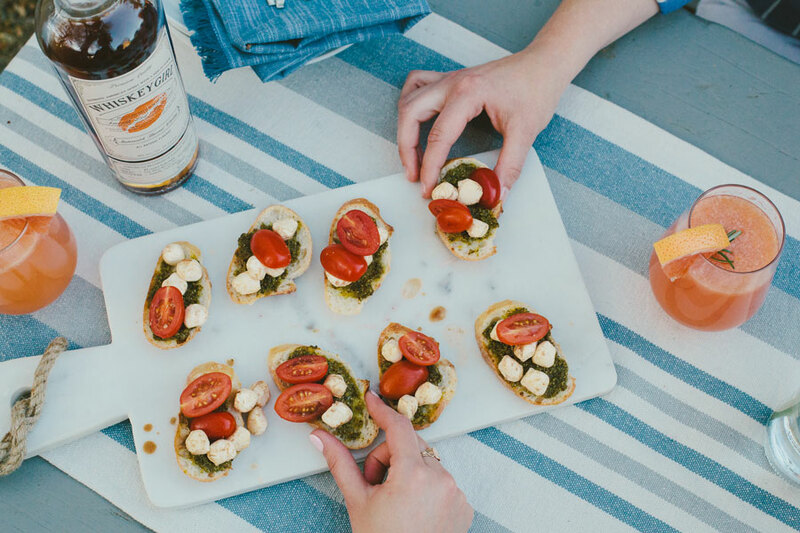 While toasting, slice tomatoes and toss with marinate mozzarella. Remove bread from oven, spread with a thin layer of basil pesto, and top with tomato/mozzarella mixture. Drizzle with balsamic reduction and serve. 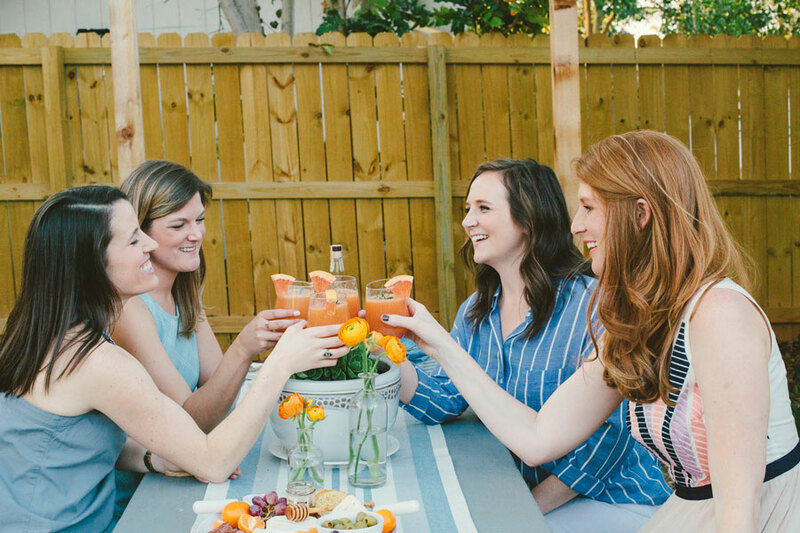 Cheers to a sizzling summer sharing love, laughter, and whiskey!